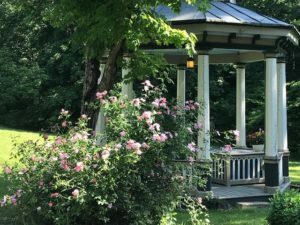 family enjoying the gazebo,mid 1920’sYellow Sulphur Springs has been an oasis of Montgomery County, Virginia, since before Blacksburg was incorporated in 1798. Generations of weary travelers have benefited from her waters and her hospitality. Even before the Springs were a part of the Patton Land Grant of 1751, native peoples enjoyed the protection of this hollow. The 1810 Hotel . 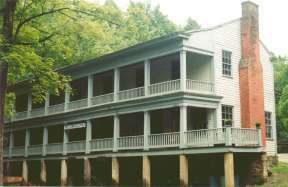 The standing hotel building was begun in 1810 and row cottages were constructed during the 1840’s. 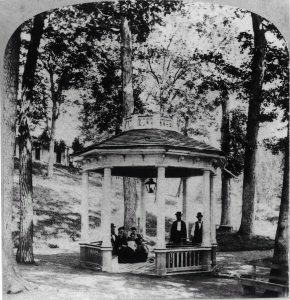 Following the Civil War, the Yellow experienced a period of prosperity during which several additional buildings were constructed, including a large Victorian Hotel (since dismantled), the Italianate Gazebo and the Bowling Alley. 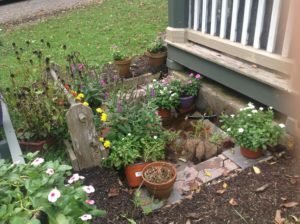 The Yellow Sulphur Spring, currently flowing out of a well under the Gazebo, is a cold mineral spring. 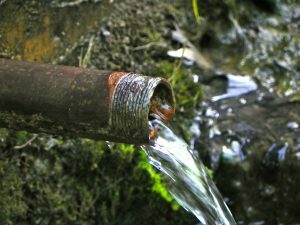 our water is rich with iron, calcium, magnesium, lithium and some sulphur. It is clear and has no offensive odor. During the nineteenth century physicians understood the limitations of the usual diet and lifestyle thus encouraged mineral supplementation by drinking mineral water. Guests to the Springs resorts could schedule a personal evaluation to receive a prescription for the number of ounces of spring water to be imbibed daily. Guests usually stayed for two weeks enjoying our temperate temperature, beautiful gardens and recreation. Around 1924 ownership of the property was bought by a consortium of prominent African American businessmen. They operated the South’s “premiere Colored resort” for several years. 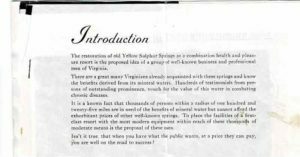 In the late 1920’s severa l Christiansburg businessmen attempted to launch a revitalized health and pleasure resort at Yellow Sulphur Springs. The Stock Market crash and the economic depression that followed stymied their plans.